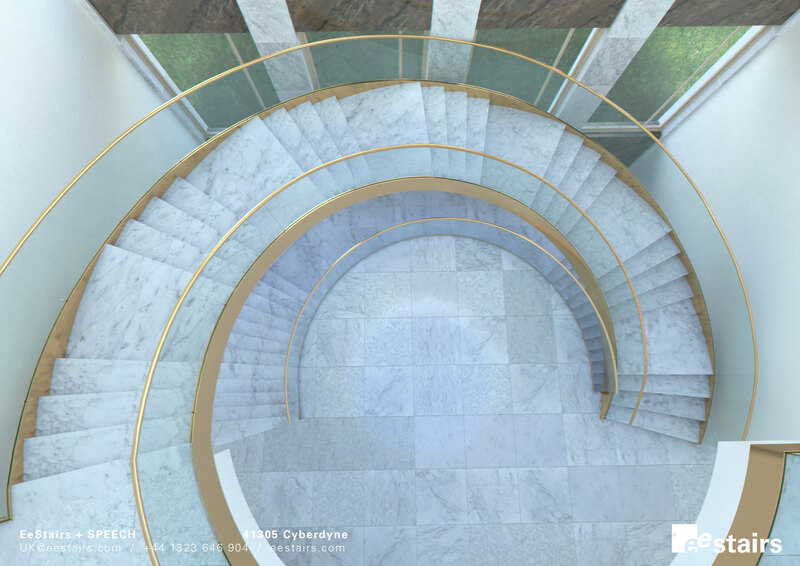 A large helical staircase with stone treads and landings. Original design had the biggest rest landing ever, and unfeasible without extra support. Adding multiple landings and some discrete connections to buildings should assist structurally and visually. A liquid metal brass painted steel carcass supports the stone floating treads, glass balustrade capped with brass handrails to finish.